When reading various parashot, one sometimes come across about the topic of slaughtering animals, but (the ones I have read, offer) no description about how to do it. There is no description in the Torah (and to the best of my knowledge in the rest of TaNa"KH) as to how to correctly slaughter an animal. In fact, R. Yehuda HaLevi (Kuzari, 3:35) brings this as a proof to the truth of the Oral Law. How can the written Torah demands slaughter without giving any details? It must be that there exists a parallel, oral tradition which explains how to slaughter correctly. you shall slaughter from your cattle and your flocks, which Hashem has given you, as I have commanded you and eat. We have thus learned that there is a commandment as to how to slaughter, and these are the laws of slaughter which were said to Moshe [orally] at Sinai. Adding to the above answer, there is a part of the after-slaughtering process mentioned directly in the Torah in Vayikra 17:13 that states that after slaughtering a wild animal or bird, one should spill the blood onto the ground and cover it with dirt. The Rambam in Hilchos Shechita 1: 4 explicitly states that all the details of kosher slaughter are given as halacha LeMoshe miSinai through the oral law only. 14. 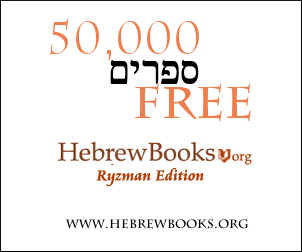 In the following chapters, the Rambam proceeds to answer all of these questions. 15. I.e., in the Introduction that precedes Hilchot Yesodei HaTorah. There the Rambam explains that the Oral Law is called "the mitzvah," because it gives us instruction concerning the observance of the mitzvot. Without it, we would not know how to fulfill them. However, you shall not eat the blood; you shall spill it on the ground like water. Deuteronomy 12 is the chapter in the Torah that commands us how to slaughter an animal. We are taught to do it in such a manner that we are NOT to "eat the blood" but to "spill [the blood] on the ground like water", as opposed to other unkosher ways of slaughter, which does not include a proper drainage of blood. This is the simplest (pshat) biblical requirement of slaughter. The rest, as found in the Talmud, Oral Law, etc., is expanded commentary. Not the answer you're looking for? Browse other questions tagged sources-mekorot tanach slaughter-shochet-shecht . Where else in the Talmud can we find a discussion of natural disasters?